Registration is still open. With the series already underway, you will receive an email within 2 business days of registering that contains links to the recording and slides of any missed webinars. In addition to access to the live webinars, all registered participants will receive a password-protected video recording of each session, available for one month from its live broadcast date in case you miss one. Today, individuals are increasingly being exposed to a number of psychosocial hazards in the workplace. In turn, career professionals are faced with more and more clients with mental health issues of some kind. Being that career practitioners, most often, are not mental health professionals, a lack of adequate training and knowledge can make it uneasy to broach these topics with clients. It is important that the career professional of today have the necessary skills and tools to help clients navigate the career and job search process amid these psychosocial stresses, while also helping clients to succeed in their chosen career paths. In this three-part series, Dr Joti Samra will provide you with a range of evidence-based, effective strategies to assist you to better manage working with clients who have a range of presenting psychological health issues. Gain tools to better understand mental health challenges and their impact on work function; learn about the adaptive function even negative emotions can serve; learn strategies for effective conversations if you suspect a client has a psychological health issue and/or discloses to you; understand your role as a career coach; and learn how to incorporate values-based approaches into your coaching. Objective: At the end of this webinar you will be able understand how to enhance your emotional intelligence when interacting with clients in addition to what tools, strategies and resources are available to you to successfully approach common issues and barriers that may arise with your clients. Building on theoretical learning done in webinar one and two, Dr Samra will now shift the focus by expanding on how this new knowledge, these tools and resources can be applied in a vocational setting. Objective: As the series wraps up our goal is for participants to leave with new knowledge, tools and resources that can be added to their proverbial toolkit. In addition, to take away the practical know- how on how to successfully apply this learning in their work with clients. Dr Joti Samra is a national thought leader on issues relating to mental health. She is Program Lead for the online Centre for Psychological Health Sciences at the University of Fredericton, and a member of the Global Expert Panel for WellteQ. She is an innovator in the area of psychological health and safety in the workplace, and has been the lead on a number of pivotal national workplace projects that have contributed to policy change in Canada. 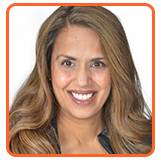 She also has a thriving clinical and consulting practice in Vancouver, BC. Dr Samra is a founding member of the committee that developed Canada’s National Standard for Psychological Health & Safety in the Workplace – the first of its kind in the world. She also led an extensive research investigation on the evolution of Canadian workplace mental health strategies and initiatives from 2007-2017. Dr Samra has created a breadth of evidence-based resources for individuals and organizations in the areas of mood disorders, suicidality, chronic health conditions, emotional intelligence, and workplace psychological health and safety. A dynamic and engaging speaker, she is regularly called upon by media to comment on issues relating to human behaviour.